Is anybody else sick of Haley and Andy? Their not-so-steamy romance has already dragged on for two seasons, and now it looks like it will bleed into a third. The daring and clever jokes that once characterized the show are now reduced to Andy in a fat suit. 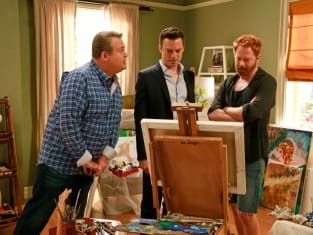 In Modern Family Season 7 Episode 1 there are some genuinely enjoyable and humorous moments, but the episode spent far too little time exploiting the best characters. There is a lot of material in the area of preschool shopping, and the surface was barely scratched. One of the funniest moments was the shot of a child stuck in the cubbies Jay designed while attempting to bribe the school into admitting Joe. The preschool storyline was not the only neglected opportunity for the wittiness Modern Family is known. Luke, Manny, and Lily barely got any lines, yet they are some of the most reliably entertaining and likeable characters. Even though Alex had more to do, they could have done so much more with her geeky romance with Sanjay. There were a myriad of issues with Andy returning overweight. Primarily, Andy in a fat suit simply was not funny. Fat jokes are not only insensitive, they are unoriginal. The choice to make him return with dramatic weight gain signifies a larger issue. The Haley/Andy storyline has gone on for far too long. It seems like the writers just felt as if they should have a 'ship for the fans, so they concocted one with Andy and Haley. The other story this installment centered on was Mitchell's mid-life crisis. The main premise of the joke was seemingly about how Mitchell's mid-life crisis was painting in the living room, as opposed to the stereotypical fancy car and desire to cheat. The best moments with Cam and Mitchell tend to be around their parenting of Lily. Mitchell's mid-life crisis fell flat, while cutting out the opportunity to spend time with Lily. Lily is consistently funny, yet she was virtually in one scene the entire episode. The writers are focusing on the wrong combinations of characters. Luke and Manny have developed a great friendship, despite their initial rivalry. 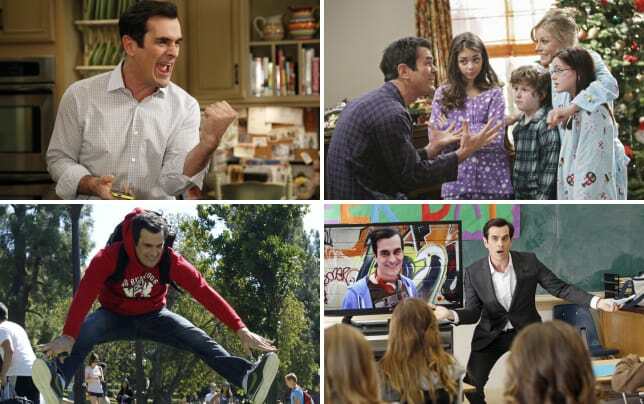 Here's hoping we will see more of the younger kids during Modern Family Season 7. What did you think of the Season 7 premiere? Be sure to watch Modern Family online and sound off in the comments. 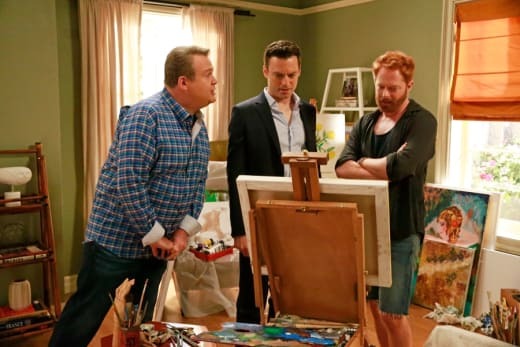 Check back next week to see if Modern Family Season 7 Episode 2 shows any signs of improvement.